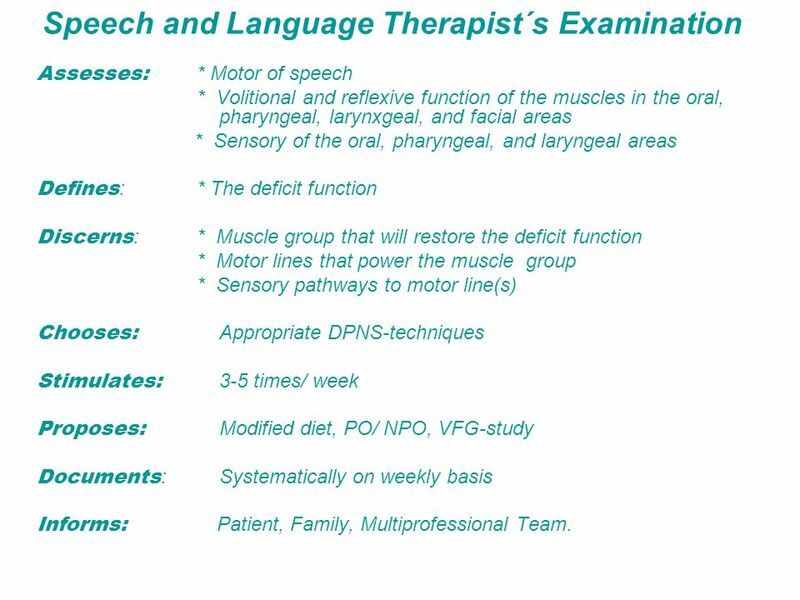 Assesses:	* Motor of speech * Volitional and reflexive function of the muscles in the oral, pharyngeal, larynxgeal, and facial areas * Sensory of the oral, pharyngeal, and laryngeal areas Defines:	* The deficit function Discerns: * Muscle group that will restore the deficit function * Motor lines that power the muscle group * Sensory pathways to motor line(s) Chooses: Appropriate DPNS-techniques Stimulates: times/ week Proposes:	Modified diet, PO/ NPO, VFG-study Documents: Systematically on weekly basis Informs:	Patient, Family, Multiprofessional Team. 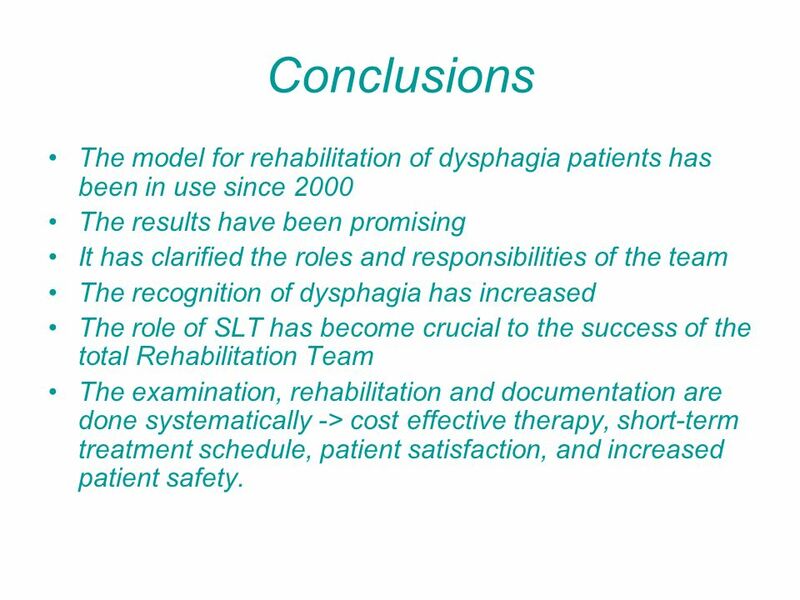 6 Conclusions The model for rehabilitation of dysphagia patients has been in use since 2000 The results have been promising It has clarified the roles and responsibilities of the team The recognition of dysphagia has increased The role of SLT has become crucial to the success of the total Rehabilitation Team The examination, rehabilitation and documentation are done systematically -> cost effective therapy, short-term treatment schedule, patient satisfaction, and increased patient safety. 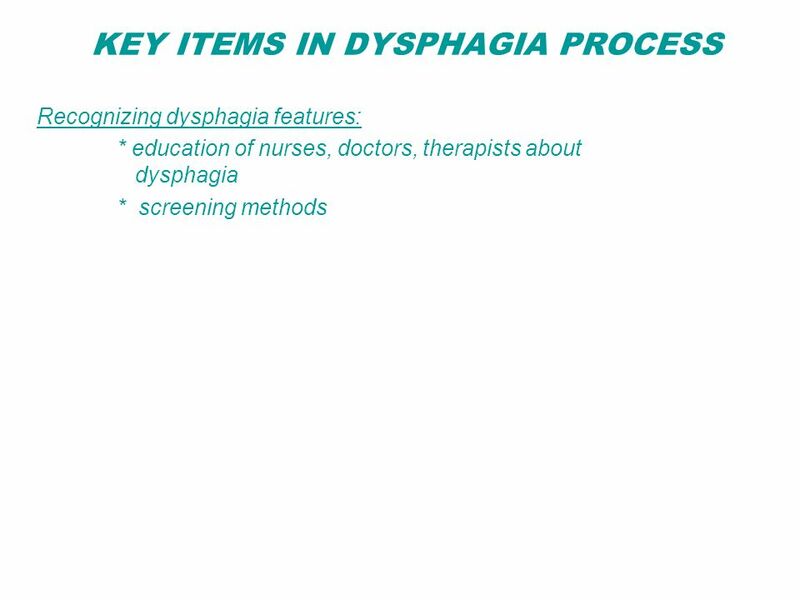 Download ppt "KEY ITEMS IN DYSPHAGIA PROCESS"
Emmanuel Fasanya University of North Texas Graduating Class of December 2013 Rehab Director: Roel Ruiz Supervising PT: Veronica Pagliwagan,PT Director. Swallowing Disorders Phases of normal swallowing: 1. Oral preparatory phase 2. 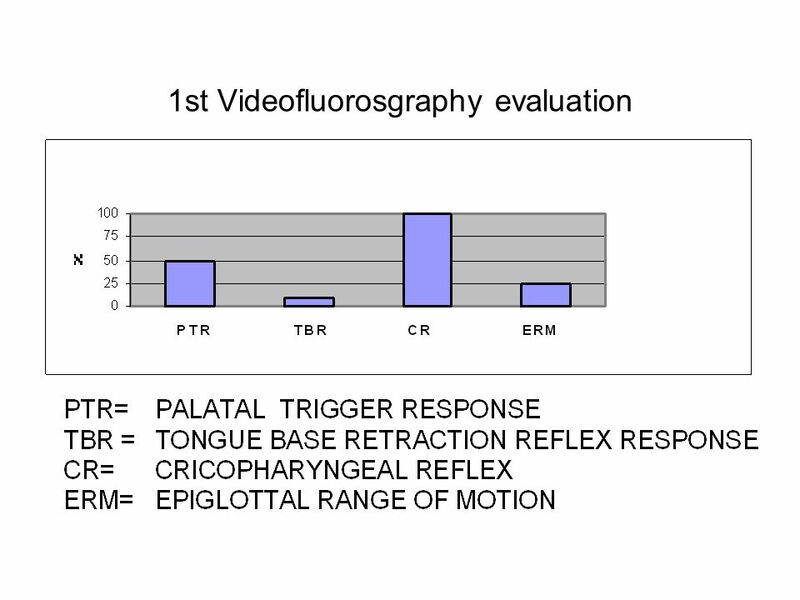 Oral propulsive phase 3. 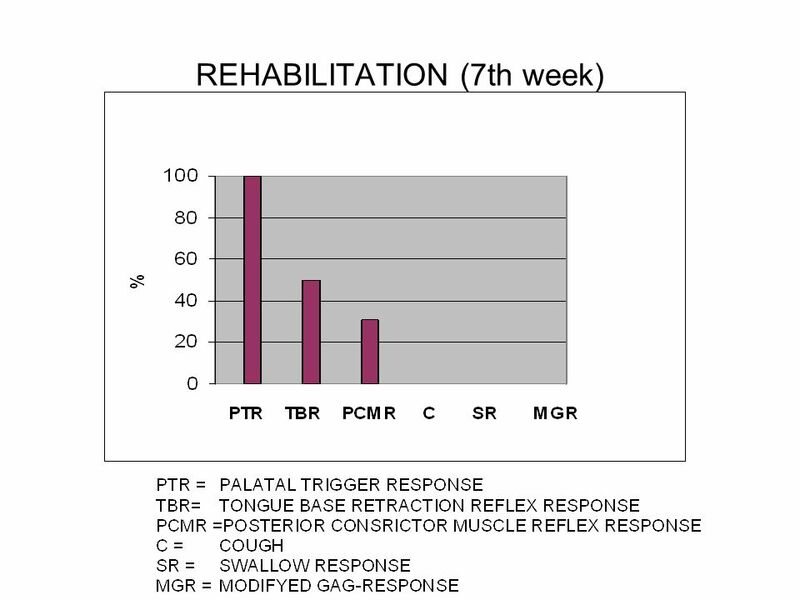 Pharyngeal phase4. 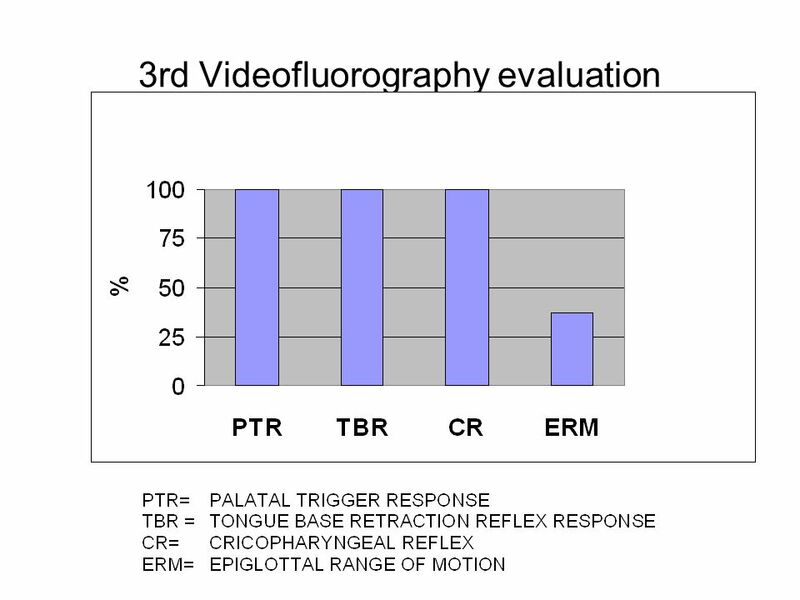 Esophageal phase. 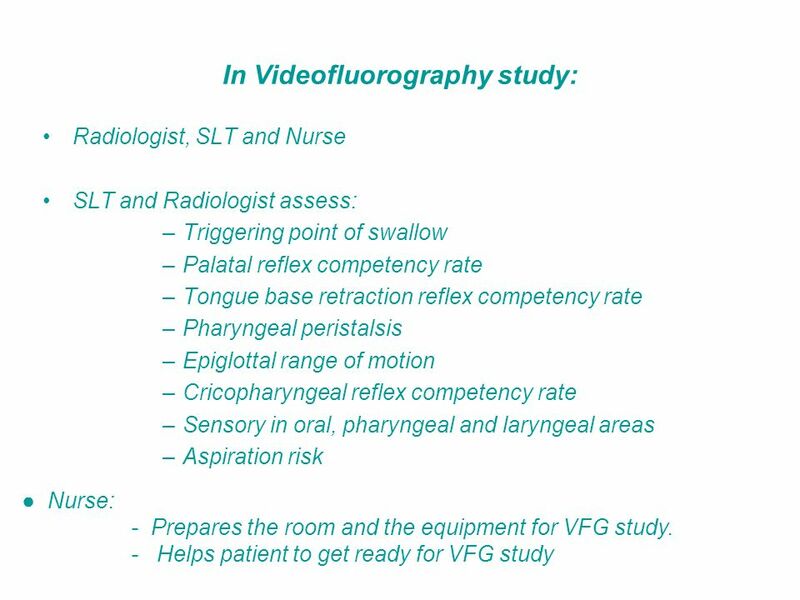 Approaches to Swallow Screening: Part 1 Susan Wehner, PhDc, RN, APRN, BC Michigan State University Vascular Neurology. Role of the Speech and Language Therapist in Assessment of Oral Feeding Gail Robertson Specialist Speech and Language Therapist. HEAPHY 1 & 2 DIAGNOSTIC Deborah McKELLAR Fri 30 th Aug 2013 Session 2 / Talk 2 11:05 – 11:22 ABSTRACT This presentation will give a brief outline of the. Copyright © 2008 Delmar. All rights reserved. 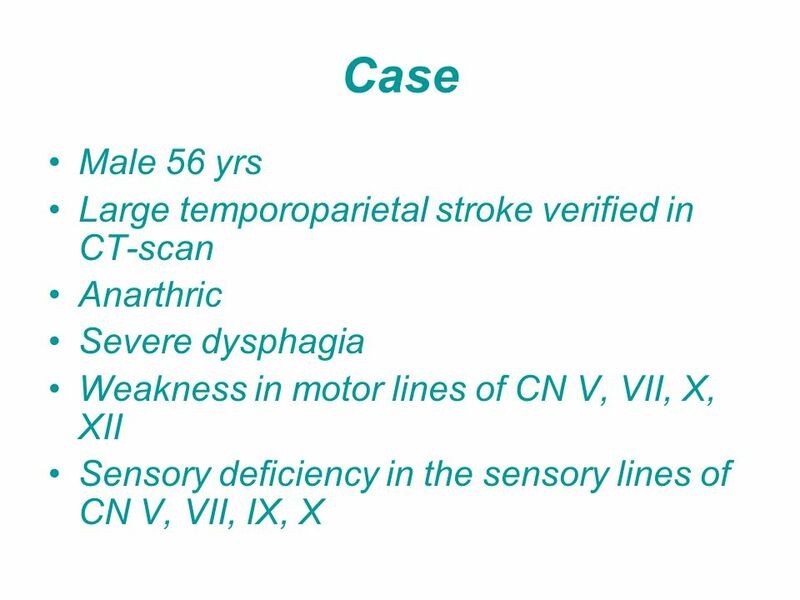 Unit Ten Dysphagia. Modified Barium Swallows. 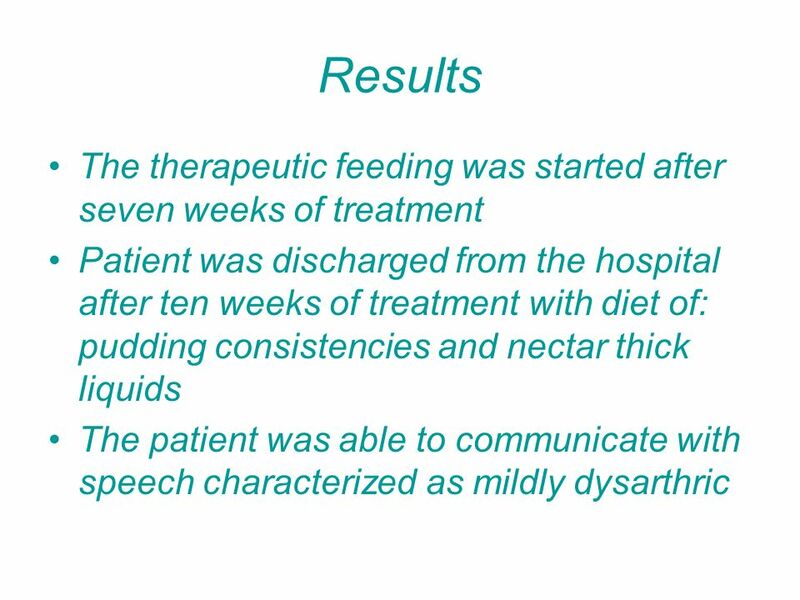 Dysphagia Symptom of abnormal swallowing as it relates to aspiration of food and/or liquids, pooling, with or without residuals. The Role of the Speech & Language Therapist Emma Burke Principal Speech & Language Therapist Bradford & Airedale tPCT Wednesday 12 th March 2008. + Swallowing Disorders. 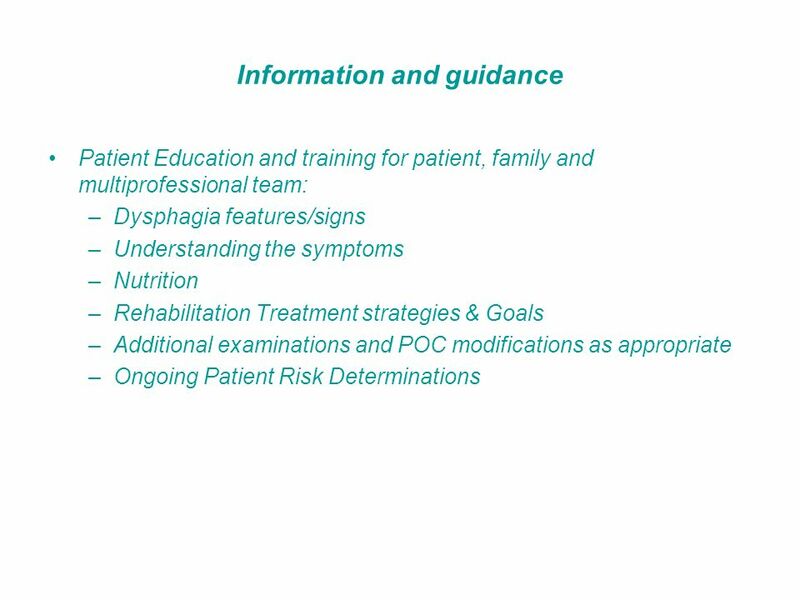 + Common Terms Dysphagia- Another name for a swallowing disorder. Epiglottis Structure that closes off the trachea when swallowing. 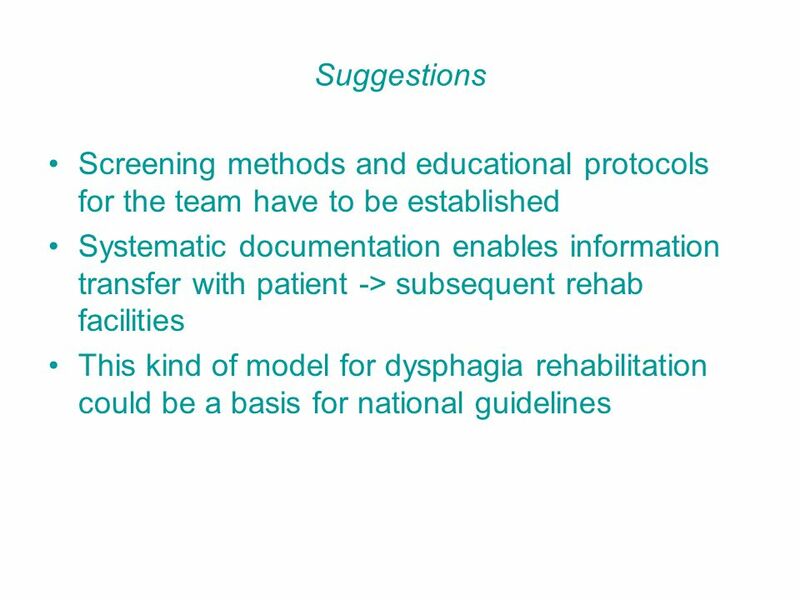 Dysphagia- Ch. 1 Overview. 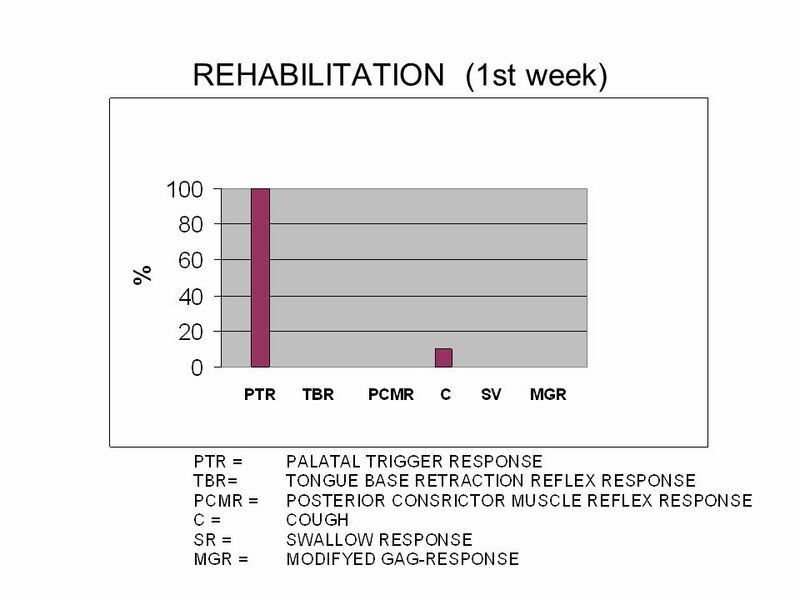 * Difficulty moving food from mouth to stomach OR * Includes all of the behavioral, sensory, and preliminary motor acts in. Best Practice Inpatient Rehabilitation Stroke Education “A Beautiful Min Presenters: Jamie Howes, RN, BS Mary Milburn, DPT. Health Care Providers Working with the Elderly Chapter 10. Competency Model for Professional Rehabilitation Nursing Behavioral Scenario for Competency 4.3: Foster Effective Interprofessional Collaboration Christine. MODULE 1: HOME CARE Revised1. OBJECTIVES 1. Understand the history of home care/home health 2. 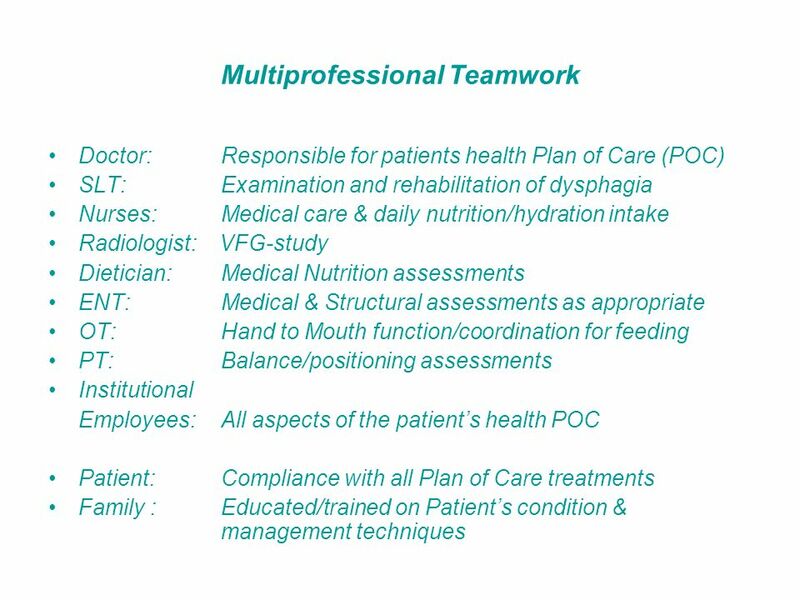 Identify the different disciplines involved in home care.